TLC's best-selling dietary supplement provides an all-natural thermogenic blend of ingredients to enhance energy, burn fat, elevate mood, and suppress the appetite. 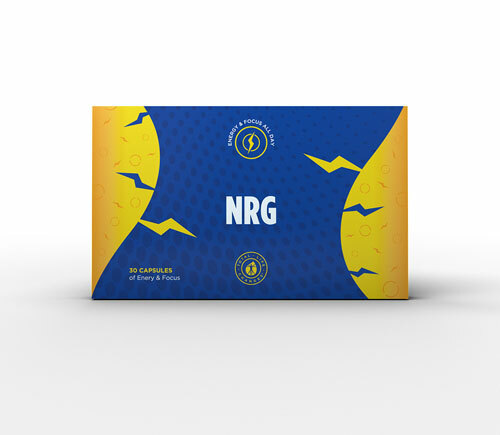 NRG is designed to increase the body's metabolic rate and burn more fat. It is a safe alternative to unhealthy energy drinks (that contain three to five-times the caffeine found in a twelve-ounce serving of coffee or soda). Iaso NRG should be taken daily on an empty stomach. Take one to two capules with twenty-four ounces of water. Allow ninety minutes before digestion of breakfast or lunch. Caffeine (from natural source) 180mg, Chromium (polynicotinate) 240 mcg, B-6(PYRIDOXINE) 8mg, B-12 Calcium 40.3mg ,(Aquamin F) 40.3mg, Zinc(Gluconate) 2mg, Beta Phenylethylamine, Dark Cocoa Power, Dimenthylamylamine (geranium extract), Green Tea Extract, Polyphenols EGCG, Cocoa Powder, Alpha Keto Glutaric Acid, Cinnamon, Trace Minerals, Choline Bitartrate, 5 HTP, Vanadyl Sulfate, Cellulose, Magnesium, Stearate, Silica. Our all-natural formula is designed to give you the results you're looking for without jitters or sudden burnout like other products. Use Iaso™ NRG to increase vigor, burn fat and curb your appetite.